The island of Naxos has gained quite a reputation for its very persistent hotel hawkers, who constantly tout for accommodation around the port when ferries arrive. 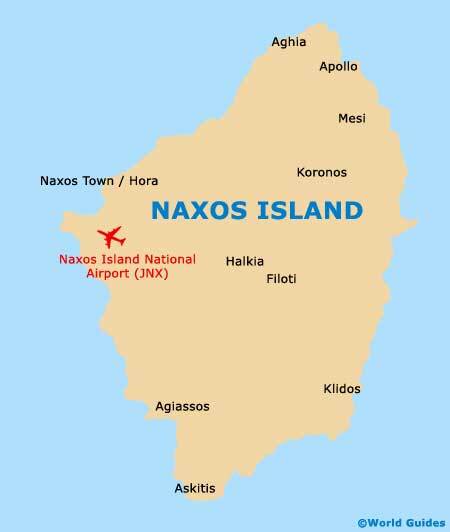 If you are approached, you may find that the lodging on offer is of interest, although do always clarify where the room or hotel is located on Naxos, preferably using a map. Alternatively, make it quite firm that you are not interesting in arranging accommodation through them and keep walking. A number of information booths are dotted around the quay and offer information about available hotels, and so tourists arriving on Naxos may find these of use. Alternatively, book you accommodation in advance, particularly if you are planning to arrive any time between July and August. 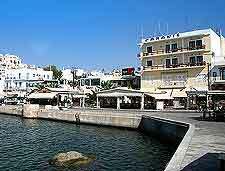 The best selection of lodging and accommodation options are to be found in Hora, the island's capital. Located on the western coast of Naxos, Hora is a large and spreading town, with plenty of choice when it comes to hotels, with the most sought after boasting sea views, balconies and terrace areas. There are even a number of camping sites close to Hora and often just a short stroll from the beachfront. 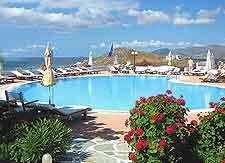 Budget hotels are few and far between in Naxos, although Hora does contain several possibilities worth considering, such as the recently refurbished Pension Irene II, which comes complete with balconies and a swimming pool. Other accommodation of note on this part of Naxos includes the Hotel Glaros on the Agios Georgios, the Chateau Zevgoli on the Kastro Bougos, and the Hotel Grotta, which resides to the east of the ferry quay and features splendid sea views in many of its guest rooms.